You are currently browsing the tag archive for the ‘gorilla’ tag. In this cartoon Bugs Bunny apparently lives in Central Park, New York. He buys a hurdy-gurdy with a monkey in order to become rich. 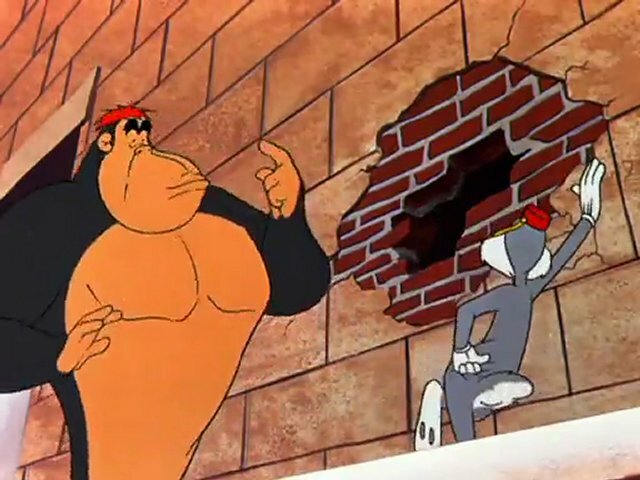 But when the monkey betrays Bugs, Bugs fires him and goes fetching the money at the apartment block himself. The monkey then fetches his big brother (a gorilla) to fix Bugs. But in the end it’s the gorilla who collects money for Bugs. ‘Hurdy-gurdy Hare’ is an inconsistent and rather weak cartoon, which nevertheless contains a great ladder gag, in which Bugs quotes Groucho Marx. At the end, Bugs makes a reference to James Petrillo, leader of the American Federation of Musicians at the time. A gruesome gorilla has escaped. 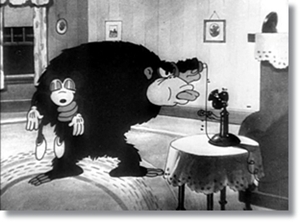 Mickey rings Minnie to warn her about it, but she’s not afraid and she plays Mickey a tune* through the telephone, until the gorilla enters and kidnaps her. Of course Mickey rushes to her house to save her. This cartoon is interesting for the rather extensive dialogue in the beginning of the cartoon. By now the Disney animators had mastered lip-synch, and neither Mickey nor Minnie show any awkward faces anymore while talking. 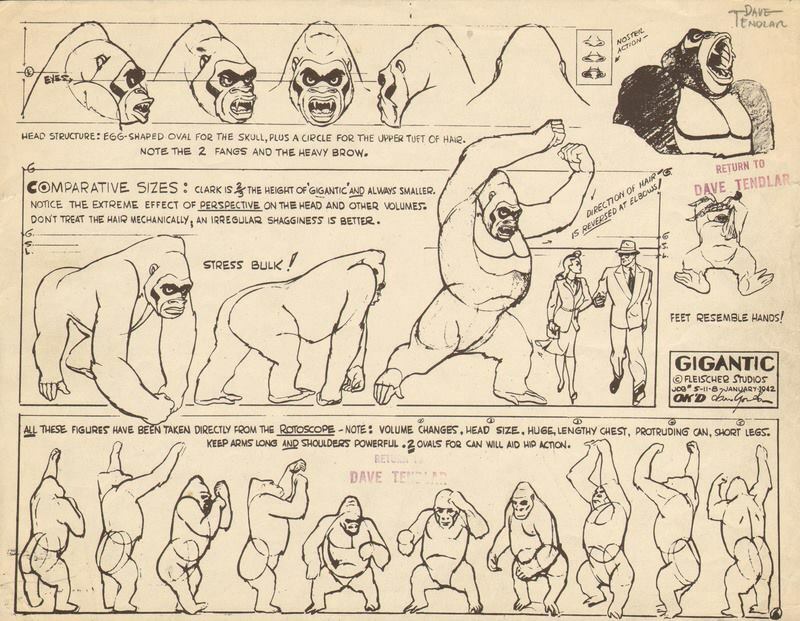 Even more interesting is the cartoon’s quite elaborately drawn gorilla, which in several scenes is staged originally to show its huge size. 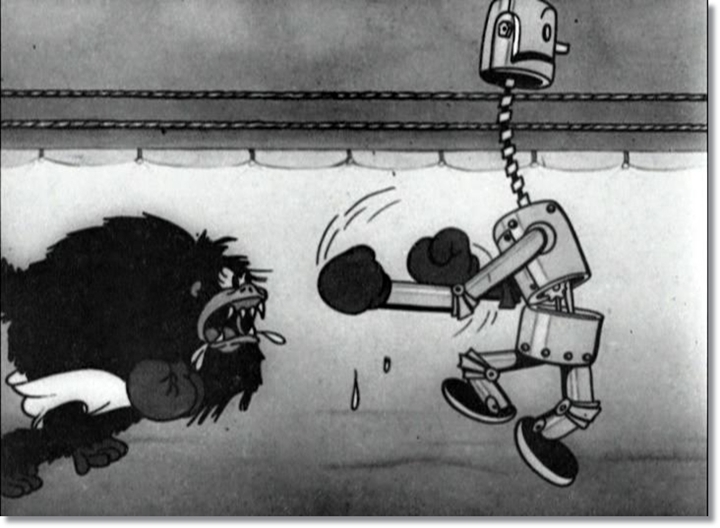 The cartoon is a great improvement on Mickey’s earlier horror cartoon, ‘The Haunted House‘ (1929) and cleverly explores the possibilities of suspense by using some spectacular elements of horror: whispers, shadows, darkness and false alarms. It also contains a classic corridor-with-doors-scene, which may very well be the very first in its genre. * The tune is “All Alone”, a hit song from 1924, which of course still was copyrighted in 1930. 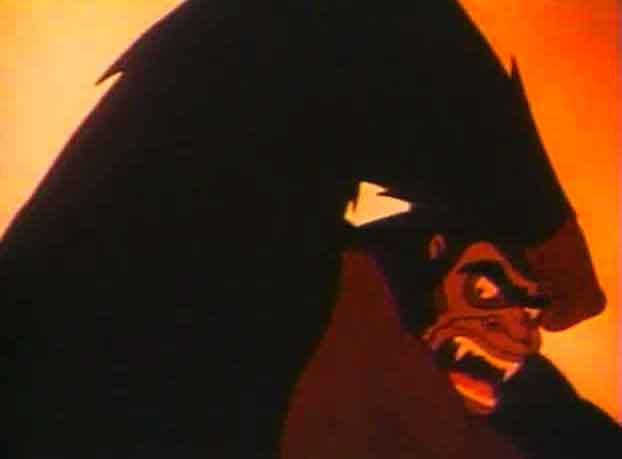 The use of a copyrighted tune marks a change in Disney’s musical policy. Apparently by 1930 he could afford it to pay rights. 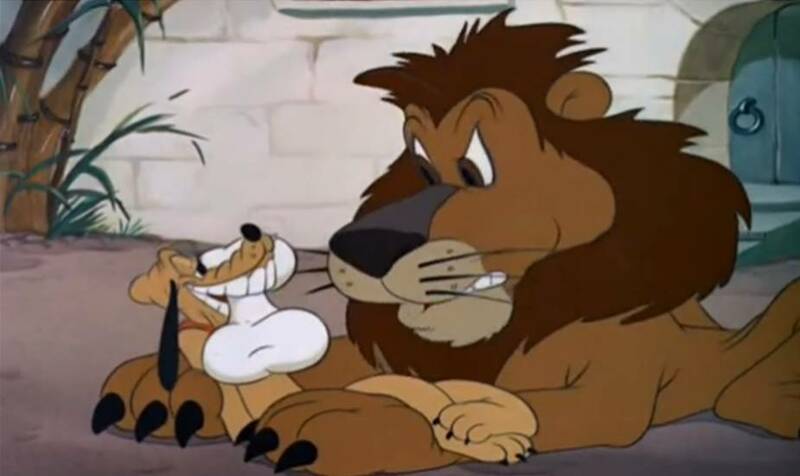 Disney’s use of well-known pop tunes remained sporadical, however. And Disney soon turned to producing hit songs of his own, most notably ‘Who’s Afraid of the Big Bad Wolf’ from ‘Three Little Pigs‘ (1933).